Dene Adams corset holster actually works pretty well, and has mag pouches as well. 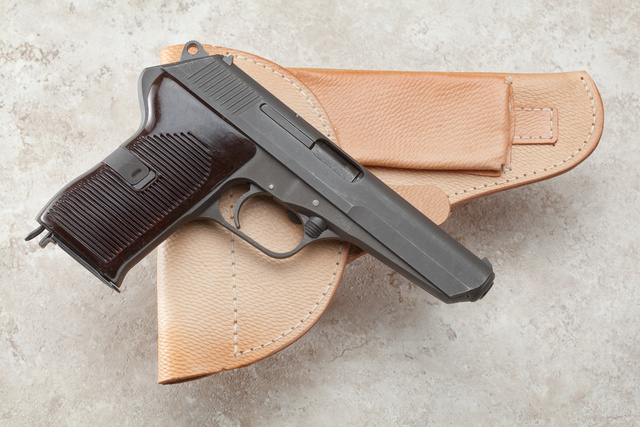 And, of course, it goes great with the classic Czech iron. With modern ammo, it works fine. This entry was posted in holster, pistol, weapon and tagged 7.62x25. Bookmark the permalink. The CZ52 is the only handgun I know of that will reliably punch holes in a ballistic helmet. The CZ52 creates a great ball of fire when shooting after dark! Fun pistol. 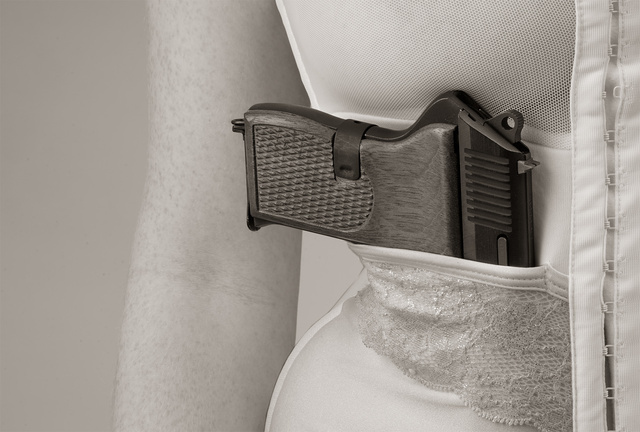 That same corset is now in use with a similarly built model who carries her full size 1911 in it. She says it’s comfortable.